1. Even though vitamins are readily available in any drugstore, you shouldn’t purchase them before talking with your Nephrologist: Don’t run to the pharmacy just yet. While vitamins are very important for your health, you shouldn’t self-prescribe. The Academy of Nutrition and Dietetics recommends consulting your Nephrologist or a Dietitian before incorporating any vitamin supplements into your Healthcare Plan. They can help determine how many vitamins you can safely consume since the risks of consuming too many vitamins include megadosing, which can produce toxic symptoms, ranging from nausea to rashes to headaches and sometimes to even more severe adverse effects. 2. Factor in your physical status and habits before starting a vitamin regimen: If you’re thinking about starting on a regular vitamin regimen, Chronic Kidney Disease and Dialysis patients should consider their physical status first. If you are feeling good and your lab results are doing well, then you may not need supplements no matter your age. However, if your Nephrologist or Dietitian recommends taking vitamin supplements or your diet is too restrictive then a multivitamin might help. It is not uncommon for patients with Chronic Disease such as Chronic Kidney Disease and Dialysis to require vitamins. A few important minerals and vitamins that many patients struggle with getting enough of which you may want to discuss with your Healthcare Team include calcium, iron and vitamin D. Iron helps with oxygen flow, vitamin D is crucial for healthy bones and helps with healthy absorption of calcium. 3. Age and gender make a big difference in determining which vitamins Chronic Kidney Disease and Dialysis patient need and how much: Depending on age and gender, Chronic Kidney Disease and Dialysis patients may need different amounts of nutrients and vitamins to maintain a more active and fulfilling lifestyle. You Nephrologist will be able to better determine what works best for you. However, they typically do not recommend vitamins and minerals to patients initially. Hence, try to write down a list of issues which you are currently dealing with and discuss with your Healthcare Team which vitamin supplements may best help address the symptoms. 4. The most expensive looking vitamins aren’t always the best ones: The vitamin and mineral market has become a marketing frenzy with one vitamin company trying to outdo the next via packaging and marketing appeal. Just because a vitamin supplement looks tasty or expensive does not mean that it will get the job done. For instance, Chronic Kidney Disease and Dialysis patients may want to steer away from gummy vitamins altogether since they can lead to cavities which may lead to other problems for patients. Instead, some professionals suggest using powder or oil dropper vitamins that can be added to food or drinks. 5. Many Chronic Kidney Disease and Dialysis patients are less likely to get the recommended amount of vitamin D: Since Chronic Kidney Disease and Dialysis patients often avoid calcium-rich foods to limit phosphorus in their diets, they may suffer from low amounts of vitamin D. Milk alternatives, such as plant-based milk, are also linked to lower vitamin D levels, making a vitamin D supplement particularly important for patients. Vitamin D helps the intestines absorb calcium and strengthens bone health. Talk with your Healthcare Team to determine if you should be taking a Vitamin D supplement or if the one that you are currently taking is the most effective option. Chronic Kidney Disease and Dialysis patients should also note that some vitamins are harder for the digestive system than others. Overconsuming vitamins can lead to liver toxicity and cause a lot of adverse side effects. How do you incorporate vitamins into your daily intake? What vitamins do you find to be the most effective? Share your responses with the nearly 70,000 friends who like KidneyBuzz.com on Facebook (click here). While you are there, like the KidneyBuzz.com Facebook Fan Page and visit KidneyBuzz.com regularly (250,000 monthly viewers) for the latest tailored breaking news and information which teaches those with Chronic Kidney Disease, Dialysis, Kidney Transplant, Diabetes, and High Blood Pressure how to better manage and improve their lives. 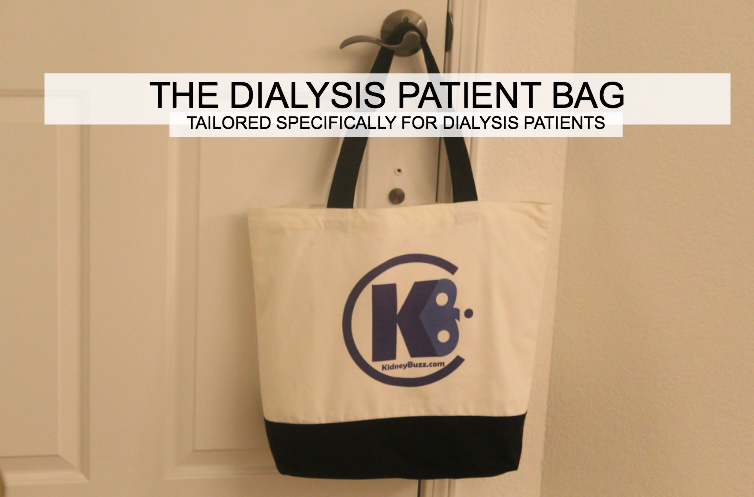 You may become a regular visitor like, Martha Marty Speakes who said, "Every Patient on dialysis or with kidney [disease] should follow the kidney Buzz...you guys give me hope!" Should Buttonhole Technique In Chronic Kidney Disease Patients On Hemodialysis Be Discontinued?